Jane trained at Brighton Art School, Gipsy Hill college London and at the university of London, Goldsmiths college in the 1970s. Her work has centred around the vessel although more recently she has produced flat wall pieces and jewellery as well as sculptural forms. 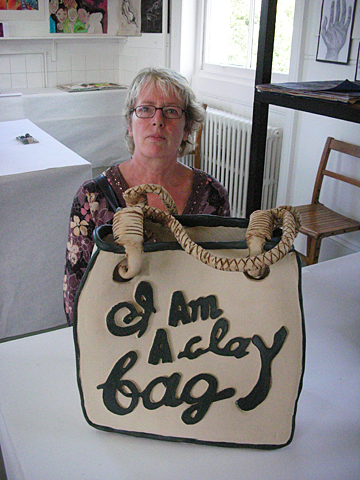 Much of her inspiration comes from research that is necessary when delivering the Art GCSE syllabus in schools. She also acknowledges the influence of Alison Britton and Elizabeth Fritch's early work and the encouragement these works gave her to break away from the 'Leach' tradition. Jane has sold her work consistently in Galleries around Britain as well as in the yearly Open House event in Brighton. She has also exhibited in France.